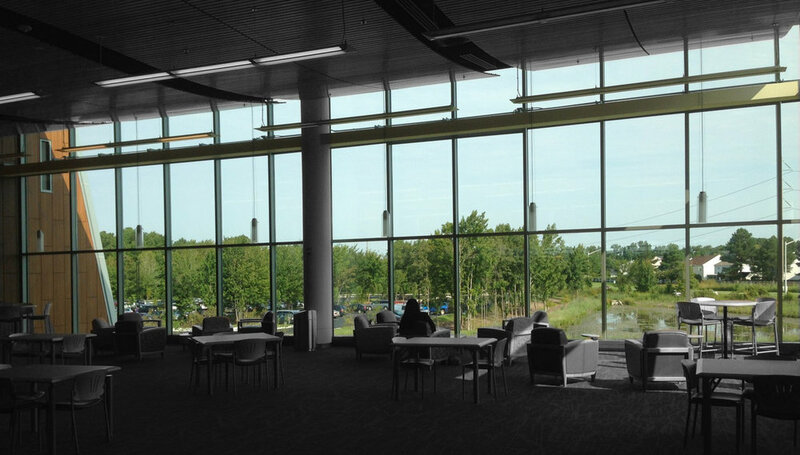 As part of a multidisciplinary team, InSites prepared the landscape design for the Tidewater Community College's Learning Resource Center. 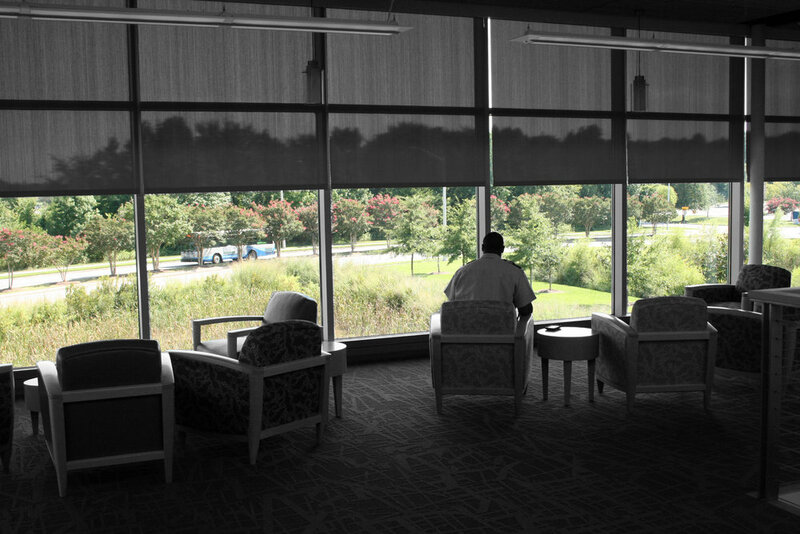 This facility serves as the new main library on campus and as anchor branch for the City of Virginia Beach library system, one of the first campus/civic joint libraries in the country. Located on a strategic gateway site, the building helps integrate the campus and the surrounding community. The design team found inspiration in the existing system of farm ditches and hedgerows on the site and the building and site design both reflect the patterns that are indicative of the cultural landscape of Princess Anne County and the southeastern Virginia region. Significant hedgerow trees were preserved between parking bays, and influenced the alignment of the bays of the building. Through storm water management features, primary tree plantings, outdoor rooms and orientation of the building bays, the essence of the agrarian landscape has been updated in a way which is functional, sustainable and safe within the campus environment.